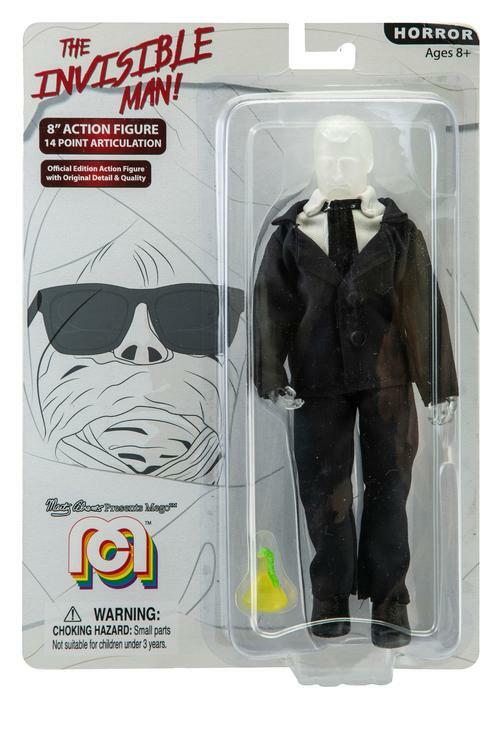 No longer Target exclusives, though there may yet be some Target exclusives, Mego has announced a Horror assortment, listed as shipping March 2019 and available for wholesale order now. Dracula and Nosferatu will also be available in individual case lots. There's also a new version of the Screaming Werewolf but, sadly, no Mummy. Maybe next time? The Nosferatu looks great! I guess they had a competition to see if they could design an even more wretched Frankenstein than the previous. They succeeded. I agree about Frankenstein. The Freddy sculpt looks great. Sweater is a bit pink instead of red, but still a great figure. Dracula looks great with the red cape, but we already have a version of the figure. The Nosferatu is really the one that shines here. That's a hard pass on the Frankenstein, for sure. 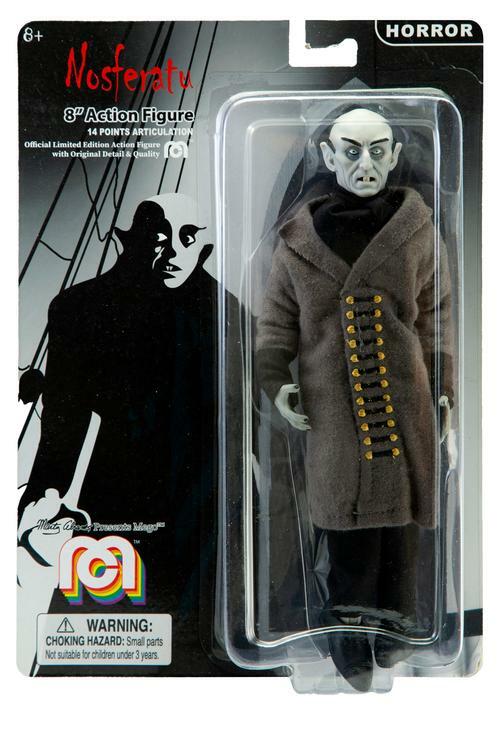 I really like the Nosferatu figure, even though I don't really care for silent films. Stylistically it still looks great. The Freddy Krueger is a must-have for me. I'm encouraged to see that the packaging is a little more interesting this time around. 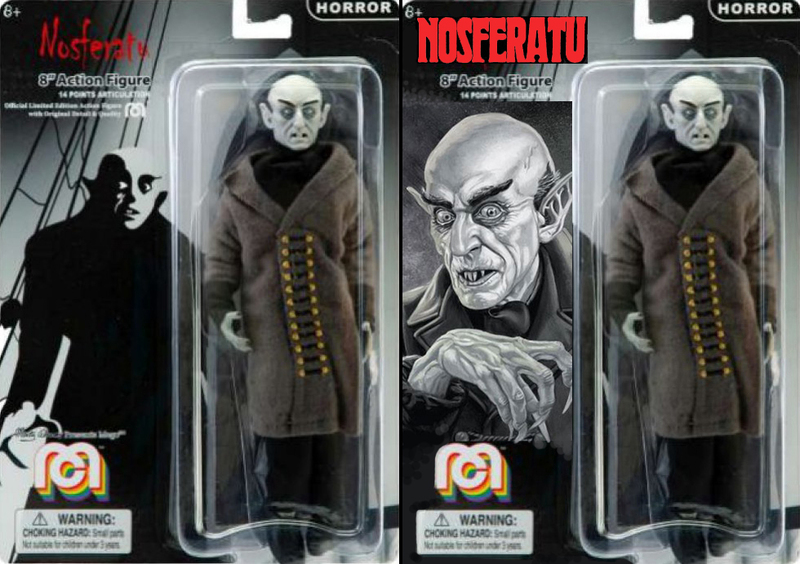 Wow, that Nosferatu looks to be one of the all time MEGO greats! 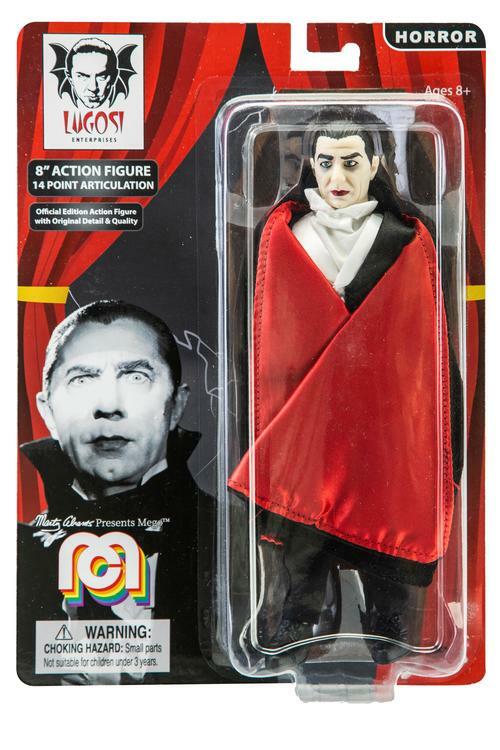 Lugosi looks great with the red cape lining too. Even the cheesier figures warm my heart a little bit. 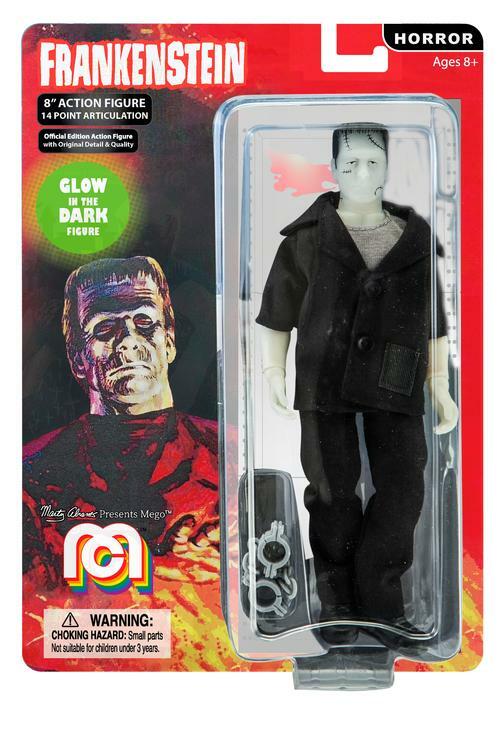 The retro Frankenstein packaging with the vintage Mad Monster art is nice. If the price is right and the availability isn't like the Target monsters, I might pick some of these up. Nosferatu for the win. It will be mine. Maybe double dip on Dracula for the improved pack and red cape. No interest in the rest for me. Glad they won’t be Target exclusives. 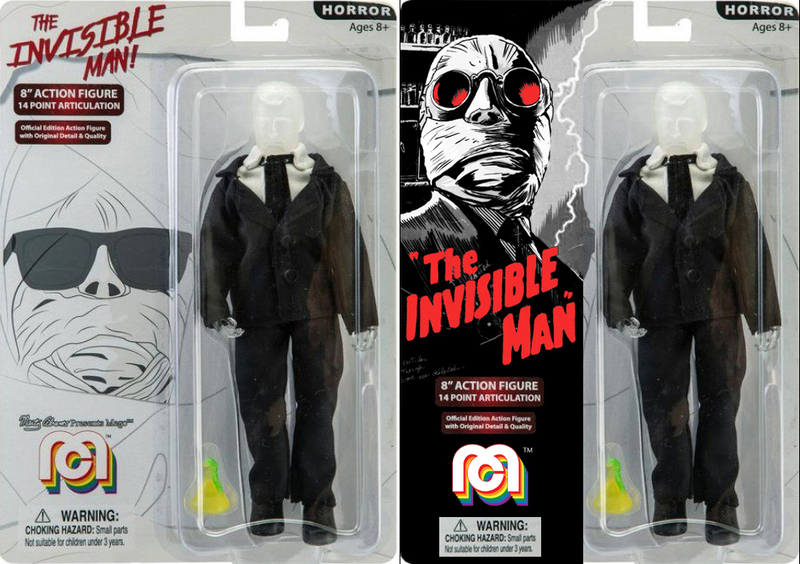 I wish they just would’ve had a smooth, blank, detail-less face for that Invisible Man. And it’s especially weird that the package has the UM look but the figure is obviously nothing like it. That Nosferatu is tops! Especially the hands! Thank heavens they didn’t go with the bland, normal ones. The Frankenstein somehow speaks to me. Probably because I never had a glow Frank in this style before. And I’m glad for a red-cape for Drac. 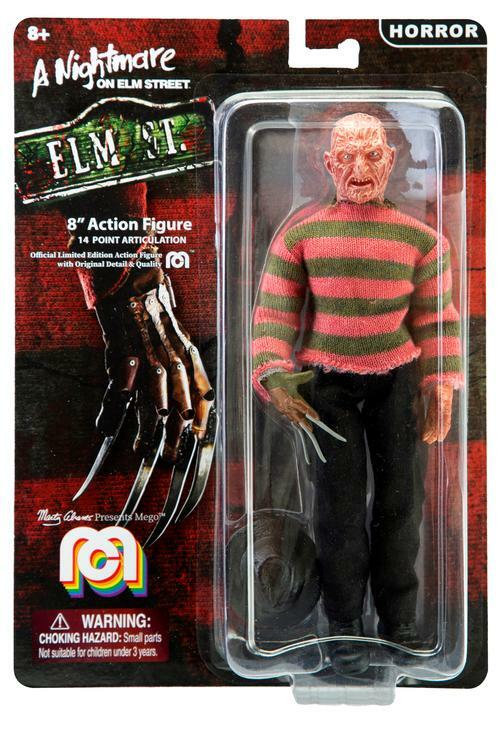 Never been one for figures of Freddy, Jason, etc. but this sure looks like a solid representation. Too bad the sweater ain’t redder. It really seems like Mego is either a huge hit or miss with both character choices and quality. That red cape drac is amazing...Anyone know what brick & mortar stores will be carrying MEGO other than Target? 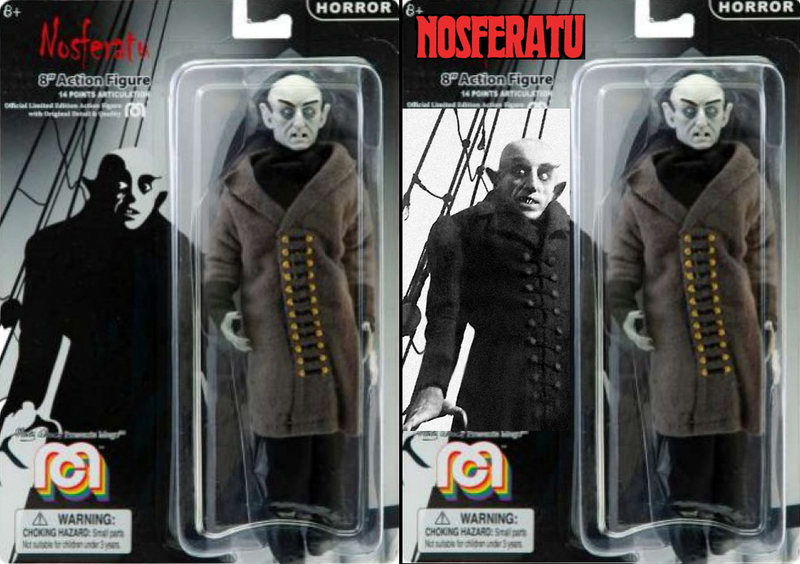 While I like the figures, especially Nosferatu...those card backs are atrocious. The Invisible Man looks like it was designed by a first grader. Nosfteratu is a must-have. I supposed I'll have to get the red-cape Dracula too, though I have three with silver capes now. haha It is quite nice looking. Agreed. Those are the only two for me. I must admit, I wasn't expecting anything as nice as the Nosferatu figure. It's a definite must-have. The Invisible Al Bundy would be more appropriate since it is the same figure (repainted)! Maybe we can get The Invisible Kelly Bundy as the Invisible Woman! On a serious note, Nosferatu and new cape Dracula might be the two greatest figures ever put out by Mego...just outstanding! The Invisible Al Bundy would be more appropriate since it is the same figure (repainted)! Maybe we can get The Invisible Kelly Bundy as the Invisible Agent! On a serious note, Nosferatu and new cape Dracula might be the two greatest figures ever put out by Mego...just outstanding! .....annnnnd that's another reason to just say no to this figure. Oh. My. Lawd. Joe. That's a crummy thing they did.